Albugo candida is a significant pathogen of many brassica species causing leaf spotting but, more importantly, hypertrophy of flowering stems (“stagheads”) resulting in yield loss. 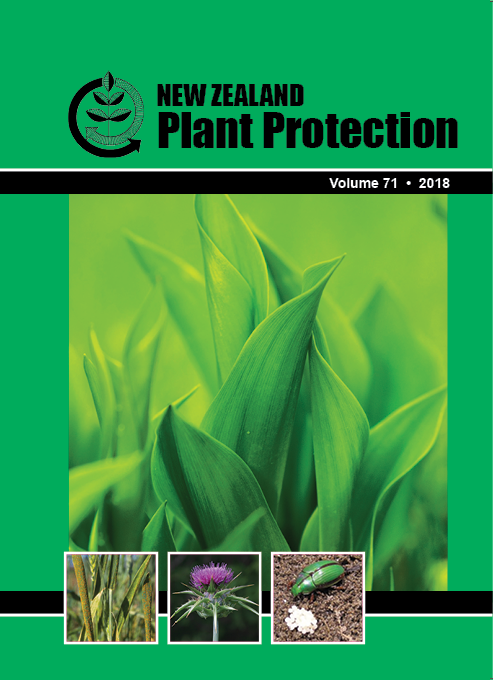 No chemicals are currently registered for white blister control in New Zealand. Little research has been carried out on white-blister management. The implications of seed transmission and subsequent disease expression in radish are not fully understood and control has relied on products containing metalaxyl-m+mancozeb. A range of fungicides were evaluated in two field trials and a pot trial for both efficacy against the disease and effect on radish yield. While metalaxyl-m+mancozeb improved yields in field trials and provided good disease suppression in pot trials, the fungicides azoxystrobin, boscalid+pyraclostrobin and cyazofamid were also equally effective or better than metalaxyl-m+mancozeb. Treatments were able to suppress leaf spotting by up to 90% and inflorescence infection by 50%. Seed yield increases of up to 67% were recorded. Potential new control options for white blister were identified providing alternatives to metalaxyl-m+mancozeb and thus contributing to an anti-resistance strategy.